Dubai: The initial works on the Expo 2020 site have commenced — with the land now ready and the Expo Dubai Bureau set to announce the names of contractors executing the infrastructure work. Najeeb Al Ali, executive director of Expo 2020, said: “We have an overall master plan and we are well into our initial phases … and we are going as per the initial plan. Everything is on track with no delays. Construction companies in the region have been facing growing challenges through 2016 and much of 2015 with some of the biggest names like Arabtec and Drake and Scull recording large losses. This stemmed from delays in payment cycles, lower profit margins, and higher provisions. With a slowdown in supply lately, the awarding of contracts for Expo 2020 has been highly anticipated by contractors to bring in new revenue sources. The Expo 2020 Dubai Bureau has already awarded the first package for infrastructure works, and plans to award further additional ones over the next couple of quarters, a spokesperson said. In 2018, the infrastructure requirements will be complete, while construction that the Bureau is directly responsible for should be over by late 2019. There will also be work associated with different countries on their national pavilions, and each country is responsible for that. “We have already started the conversation with many countries about having a pavilion. In May, we had the first gathering where we invited over 130 countries to Dubai to see the progress we’ve made. “The official invitations to all countries have gone out, and we have received the first expression of interest to join the Expo from Switzerland,” Al Ali said. “Today we are still in that preparation phase, and we are in the phase of interaction with participants that we will have from all over the world. That has started, and when it’s closer to the event, more marketing activities will happen. On Monday, the Dubai Bureau said it plans to reuse — or repurpose — over 80 per cent of the Expo site after the event is over by turning it into an ecosystem connecting businesses in sectors like transport and logistics, travel and tourism, real estate, and education. Al Ali said interest for the event has been “very high” from the UAE and outside. From a corporate standpoint, so far, 6,196 companies have registered with the Expo 2020 Dubai Bureau to take part — 2,400 of these are small and medium enterprises (SMEs). Last week, the Bureau announced that 20 per cent of the Expo’s total direct and indirect spend will be allocated to SMEs. This represents more than Dh5 billion in contracts, with the Expo’s total budget at Dh25 billion. 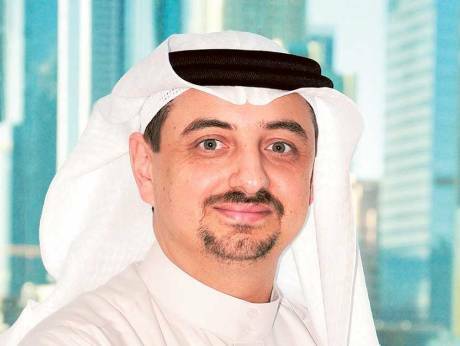 The Bureau is also looking to attract up to nine more commercial partners, having already signed on Etisalat, Emirates airline and DP World as partners. Al Ali said Expo 2020 is currently in talks with other companies, but no deals have been finalised. He said Expo 2020 will announce new partners “in the near future”. Al Ali was speaking on the sidelines of Cityscape Global. Expo 2020 Dubai Bureau is participating for the first time at the event.